Includes an Answer Key and Solution pages that children can work on (4 /page or 6/page). Popular Base Ten Math Series: Counting-Booklet 1, Addition-Booklet 2, Regrouped Addition - Booklet 3 and Subtraction - Booklet 4. 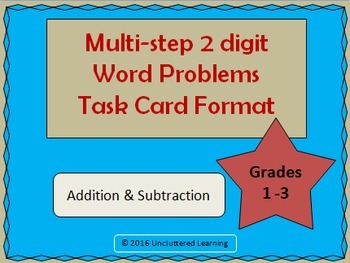 This Math Revision Booklets series is great for First and Second graders. Also this Math Practice Sheets Bundle is a great value for money, practicing ALL Common Core Math standards. I'd love to hear from you! Do take a moment to rate my product, give me your feedback, ask questions or post comments.